Introduction: Ivan Saponjic is the sixth Serbian on this 100 to Watch feature, and the fifth member from Serbia’s successful U-20 World Cup winning squad. Having won the Serbian Super Liga, before the World Cup had kicked off, crowned a successful 2015 for the striker, and 2016 has certainly started on a high. Besides having the immense pleasure of being recognised on this list (ha! ), the 18-year-old also successfully completed a move to Portuguese giants Benfica. The duck faced celebration has certainly prompted Europe to take notice. Analysis: At 6 ft 2 inches, Saponjic is your ideal number 9 striker up front, especially for sides looking to build their entire system around a lone man. With fabulous anticipation and powerful strength, Saponjic has been able to dominate the final third. His sheer presence attracts opposition defenders, but his intelligence allows him to quickly lose markers with his attacking play further helped by his clever movement. But the best way to describe Saponjic, besides eluding to his height, is his natural striking skills. Saponjic is your pure poacher in every sense of the word. His movement gets him into fantastic positions, and while many ignore this skill set in judging young strikers (or any striker for that matter), it’s actually a paramount feature you’d expect in your attacking men. He gets himself into positions purely on his intelligence as a forward, and to take the chances that present themselves is also a fundamental attribute which the Serb showcases. With a powerful foot to go with his intelligence, Saponjic doesn’t shy away from taking his chances. At the age of 18 he has already played over 40 games for one of the biggest clubs in his homeland, and now with the right guidance he hopes to carry that on to the bigger leagues of the European continent. Looking forward: While not many would consider a move to Benfica as the most ideal dream destination, fewer clubs handle and develop youngsters as well as the Portuguese side do. The same club took Lazar Markovic from Partizan Belgrade as well, before he earned his move to the Premier League, and the Lisbon club seem to be having similar expectations of 18-year-old Ivan Saponjic. 2016 may be quieter than what we expected when originally drafting the youngster given that he won’t be in Partizan’s first team as we though he would (months back while compiling the feature), but his career is certainly moving in the right direction. Expect a few cameos before he storms into the Primeira Liga. Introduction: Whatever is in the water in Belgium, I want it. As most have come to understand by now, the noisy neighbor of the Netherlands have positioned themselves as one of the hotbeds when it comes to producing gifted young footballers on the continent. While I could sit here all day and rattle off names you’ve surely heard of, perhaps there is one you do not k now much about yet – Siebe Schrijvers. The 19-year old center forward, who plies his trade at top-flight club KRC Genk, may not be making the waves that many of his compatriots are, but rest assured there is still time for his name to reach the same heights as others. Analysis: Like most Belgian youngsters coming through the ranks, Schrijvers boasts a wonderful blend of ability, pace and intelligence. Headstrong he may be and still with much to learn (like most 19-year olds you’ll come to find), the Lommel-born forward has a canvas that just needs some final touches. With fifty-seven appearances under his belt (though half of them have come from the substitutes bench), he’s being handled with care in regards to pressure and expectations. Genk currently have two veteran attacking players in Igor de Camargo and Thomas Buffel that they rely heavily on, which has limited Schrijvers’ involvement, and has seen him go out on loan to Waasland-Beveren. Capable of being deployed as a center forward or on either flank, he’s quite capable of scoring the goals as well as turning provider. Using his ability on the ball as well as his speed and preference for being direct, he often times puts faith in his individual ability to create space to either have a sniff at goal or provide for others – he very much operates in the same fashion that many Belgian attacking players do. 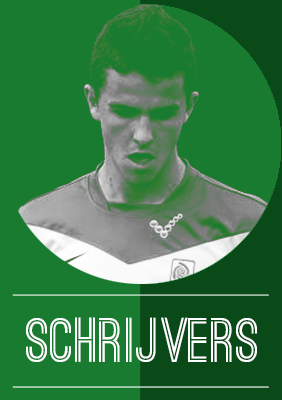 Whether he’s cutting into the central channels from wider areas or drifting out wide and opening up space through the middle, Schrijvers’ movement both on and off the ball in combination with his intelligence (a trait that the Belgians are excelling at these days) makes him a handful to defend 1v1 and an absolute nightmare for the opposition’s tactical set up – he’s a real sparkplug. Looking ahead: Once touted as the best U-17 talent in Belgium by then U-17 manager Bob Browaeys, there is much hope surrounding the youngster. Though his goal scoring exploits for Genk has not yet truly kicked off (7 goals in 57 total club appearances) and his appearances this season have been largely as a sub (8 of his 11 have come from he bench), Siebe Schrijvers undoubtedly has the ability to excel at the highest level. While he has no chance to feature this summer in France for De Rode Duivels, he will be 22 come World Cup 2018 and I suspect he’ll have a part to play. Introduction: The current state of affairs in modern day European football is pitiful especially when it concerns strikers. The dearth of world-class centre-forwards is a concern for all the top clubs. And one such forward is Germany’s rising star Davie Selke. Hence, whenever a promising young striker bursts onto the scene, it surely sets off the alarm bells in the transfer market. The Stuttgart born striker is a maverick in true sense. His decision of stepping down a division in order to have regular game time despite having a stellar season with Werder Bremen is something which has added to the enigma of Davie Selke. Analysis: Selke is a quintessential number 9 who possesses a startling presence in the penalty box with an eye for goal. His sturdy physique gives a different dimension to his game, which differentiates him from his contemporaries. The RB Leipzig hitman is a technically gifted poacher. His sense of awareness inside the penalty box is quite mature for his age. Along with the awareness, his finishing is exemplary, adding more venom to his armoury. If only humans were perfect, then Selke would’ve been a great specimen. Despite having all the essential qualities required of a striker, the RB Leipzig hitman has his share of flaws. One of the major downsides of his game is his passing ability. The former Hoffenheim striker has a knack of giving away ball cheaply. The 20-year-old also has an unwanted ability of being caught offside quite often. If Selke aims to emulate some of the iconic German strikers of the yore, he needs to eradicate this flaw from his game. After having his breakthrough season with Bremen in 2014, Selke is yet to take the second tier of German football by storm. It seems the clock has stagnated for the German starlet. Looking ahead: Selke has all the ingredients that are required to be a world class centre forward. But can he apply his talent and step up to the challenge? The answer to the question still hangs in balance as he tries to set his feet in professional football by plying his trade in second division. Booking a berth for Paris 2016 would be too much for the young prodigy to ask for especially in a star-studded Die Mannschaft lineup. But couple of seasons with consistent performances and he may well the board the plane for Moscow 2018. Introduction: One of many talented youngsters at Chelsea, Dominic Solanke is the latest prospect to emerge from the conveyer belt. Solanke was a key part in both the FA Youth Cup, and UEFA Youth League winning teams last year. After an impressive season, Solanke was sent out on loan to Vitesse Arnhem for the 2015/16 season. He has put in some solid performances for Vitesse, having amassed five goals for the season at the time of writing. Internationally, Solanke was a part of the England U17 European Championship winning squad in 2014 – a tournament in which he finished top goal scorer. Due to his impressive performances Solanke has most recently made two appearances for Gareth Southgate’s U21 squad. Analysis: Dominic Solanke is an out and out number nine. Although he can play on the wing, he is better suited to playing through the middle. He is not an archetypal number nine, however- he possesses good ball control and is a better dribbler than most would think. At six foot, Solanke also has good strength to be able to hold off defenders and link up with his midfielders. He has good pace, and uses it well to time his runs. What Solanke does need to do, is make more runs off the ball, outside of the box he needs to take better positions and make better runs. Inside the box however, he puts himself in ideal spots. Unlike many strikers, Solanke is always around the ball and ready to tap it in. Solanke is not just a poacher, he is a very good finisher- as proven by his 44 goals in 45 appearances last year. One on one with the keeper, he seems very cool and composed, however he does try to beat the goalie often- something he won’t be able to do as much in top level football. He can also provide assists. Solanke has the valuable ability to make the right decisions. Good decision making is an underestimated skill, but Solanke has it, furthermore he always puts defenders under pressure. He chases loose balls and is great at pressing from the front- often because of this, he forces mistakes. He just needs to turn this work rate from defence into attack, when his team has the ball. Overall Solanke is very well rounded. He is first and foremost, an excellent finisher, but does a lot of other things well. Solanke will have to improve on his physicality and runs off the ball, but if he can do it that he will become a good striker for Chelsea. Looking ahead: Solanke still has to complete his loan at Vitesse and needs to add to his already solid performances. Chelsea are struggling to find a goal scorer at the moment. At such a young age, Solanke could be ready to help Chelsea back to prominence. As long as Solanke gets enough game time, he certainly has the tools to become a striker capable of starting for Chelsea. 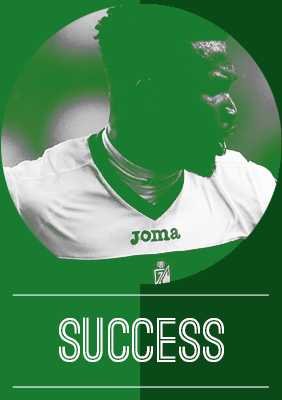 Introduction: One of the most exciting African prospects in the world, Isaac Success is quickly becoming a star. A Nigerian born footballer, Success quickly rose through the ranks with his local side. He was then discovered by Udinese, but permit issues led to him signing with Granada CF in 2014. After splitting time with Granada’s B team and the main squad, Success has become a mainstay this season. At only 19, he’s has started in all but two matches so far for Granada. Success is already tied for the squad lead in goals with three from the wing position. While Granada as a whole have had a poor season, Success is blossoming. Analysis: Success has been played at a variety of positions so far for Granada. He has featured as a left winger, right winger, striker and midfielder. His great versatility has kept him in the team, but his traits best match that of a striker or winger. Success is fairly average in height while being very light on his feet. While not being physically imposing, Success has terrific speed and agility. He uses his pace to make runs into the box and get into goalscoring positions. His pace allows him to get by slower full backs with relative ease. He can either cross or cut into the box when deployed at winger. When he scored against Athletic Bilbao, his pace allowed him to get in the box and be the first one to collect a loose ball, which he ultimately volleyed into the back of the net. Success also has great dribbling ability to match his pace. When he’s not running without the ball, Success is often running with it. He uses his dribbling ability to create space for himself to either pass or shoot. His dribbling ability helps Granada in their counter-attacking and quick build up. A lot of Success’ shooting chances are created by himself rather than the team. His dribbling ability allows him to cut inside and shoot from wing positions as well. Due to Success’ characteristics, he fits best in a 4-3-3 and 4-2-3-1 winger or in a two striker set up. His pace and dribbling would be ideal for a 4-3-3 winger, because of his ability to get by the full backs and shoot. Success often features in this kind of role for Granada, and has had a lot of joy in doing so. Looking ahead: Now that Success has been able to get into the Granada team, he will try to establish himself as an undroppable player for Jose Sandoval and Granada. Yet to feature for his national team, Success will try to become a player for them as well. If he can establish himself for Granada and Nigeria, there’s no limit to what he can achieve. Introduction: Of all the impressive young talents currently coming out of Norway, Sander Svendsen is arguably one of the most exciting. The 18-year-old striker has received plenty of plaudits since being handed his first-team debut back in 2013, and it is no wonder why. With 10 goals from 32 appearances in his homeland over the course of 2015, he has become a fan favourite at Molde, where he is now an integral part of an effective front line that are consistently tearing defences apart with their eye-catching attacking football. Analysis: It’s wonderfully apt that it was Ole Gunnar Solskjær who handed Svendsen his first senior appearance, as the two players share a lot of similarities. Like the former Manchester United forward, the 18-year-old is blessed with excellent ball control and pace, both in and out of possession, making him a nightmare for opposition defenders to deal with. His impressive vision and reading of the game allows him to carve defences in two with well-timed runs forward, whilst his cool, calm and composed way of playing means that he is equally able to take on defenders in tight spaces inside the penalty area. 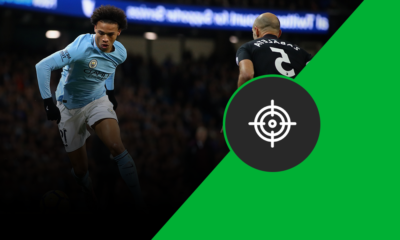 His main, and preferred, position is playing as one of two strikers in a fluid and attack-minded 4-4-2, drifting in and around the box in search of the ball and playing off a normally more physically imposing strike partner. However, he has also been utilised out on either wing – particularly towards the end of the 2015 Tippeligaen season – as his pace and trickery, both of which he possesses in abundance, allow him to successfully take on full-backs before cutting inside and picking out a teammate with his impressive passing. His ability to operate anywhere along the frontline has helped him to become one of Molde’s most important attacking players, and his versatility across the pitch is testament to the skills that he possesses and the promise that he shows for further development in the future. Looking ahead: Just as Martin Ødegaard found at Strømsgodset, continued playing time in the Norwegian top flight has helped Svendsen to blossom into a fine young player who is not only continually impressing domestically but also on the international stage with both the U19s and U21s. With club and country firmly behind him, the only way is up for the talented teenager. Introduction: The 19-year-old Swedish international ran his contract out with Fulham and made the move to Dutch outfit AZ Alkmaar in the summer of 2015. He did take a while to get settled in to life in The Netherlands and has endured a difficult start but AZ should know and hope he will surely blossom out and fulfil his potential. Analysis: The Swede almost made a move to Bundesliga before joining Fulham and that was thanks to Martin Jol’s involvement. But unfortunately for the youngster, he didn’t get a chance to prove himself in England due to the situation surrounding Fulham and their managerial merry-go-round. He was resigned to appearances with the youth squad and he took his chances real well, scoring in almost every game and soon was named the u18 captain. After being promoted to the u21 side, Tankovic scored 20 goals in 31 appearances in 2012-13 and made his debut appearance for Fulham against Norwich in the 3:0 FA Cup win. He was recognized as a player to watch out ever since and decided to move on to better places as he did not want to spoil his chances of playing for the national team. Tankovic is an extremely gifted player. He has thrived in the #10 role, playing just behind the striker, his creativity and ability to score goals has made him a player that many managers would die to have. He can also be deployed as an out and out striker, with good dribbling and quick feet to lose his marker, the Swede does know very well to play to his strengths. To sum up, in a nutshell, Tankovic is a player who can both finish off chances while also be the provider for players around him. Looking ahead: Tankovic seems to be following the footsteps of fellow countryman and idol, Zlatan. Tankovic wants to play for Real Madrid some day while also win the Ballon d’Or. He has made the move to AZ from Fulham but not enjoyed much success yet, having scored only 5 goals in 26 appearances last season and only 4 goals this season in all competitions. Still, just 20 years of age, stats are not everything. He wants to score more and repay the faith. Once he gets in form, there is nothing stopping this young lad and that should be his objective if he wants to play for Real Madrid someday. Introduction: The most exciting prospect to emerge from Turkey in years, Enes Ünal has shot into the limelight through a summer move to Manchester City, and then a loan move to KRC Genk later on. However, Enes, just 18, has been highly rated in Turkey since 2013, when he became the youngest player to score in the Turkish top flight, on his debut. Having scored a a ton of goals at age-level football for Bursaspor, the club he graduated from, Ünal won himself a move to City while just 18. Despite City not being known for their academy success, their move for Ünal signals their intent to build a strong youth base. With development and patience, he could become a lethal striker in a number of years. He also has a superb goal ratio for all national age-level games he has played, pointing to sharp and clinical finishing. Turkish fans have high hopes for Ünal, and it is obvious why. Analysis: A typical goal-scorer with a keen eye for goal and predatory instincts, it is no wonder why Ünal has plundered numerous goals. He is a typical goal poacher with the goalscoring instincts that every top out-and-out forward has. His success so far can also be attributed to his humble, down-to-earth mentality which allows him to remain focused and determined in maintaining his work rate. These are key for a young emerging player gaining his feet in the cruel yet rewarding world of football. His versatility is another important facet of his game, as he can either operate alone up front, or in tandem with a supporting striker. He really goes hard after the ball, and once he retrieves it, he is equally proficient in going ahead and taking a shot or laying it across to his teammates on the wings. He is well aware of how the game is developing around him, and as a result, is positionally aware of where has to be and when, as a result, is able to score many goals. He is intelligent on and off the ball, making forward runs on time in order to spring the offside trap and get into the best positions to take a shot and score. It can easily be said that his technical skills are his strength, as it is above the expected level of someone his age. His passing, ball control, first touch and composure on the ball are all striking points, while his finishing ability needs no embellishment. He also has a decent header on him, while he is pretty good in dead-ball situations. The obvious room for development, keeping in mind English football, is his pace and physical development. The Premier League is all about pace and power, two things which Ünal does not have in abundance but given his age and his maturity, it is likely he has spotted this and is working towards it. As he grows older he will only be more well-built, helping him in aerial duels and hold off opposition defenders. Therefore, Ünal looks like he could have the full package in the near future as he takes his time in the Belgian top-flight, a stint that will only benefit him. Looking forward: On a club level, Ünal has been restricted to mainly substitute appearances in the league, but has still scored 2 goals overall for Genk. It is clear that both City and Genk do not want to be sucked into the hype, and instead taking their time with the young and inexperienced forward. Time is all Ünal needs to build and learn, as he undergoes a new experience. His two-year loan to Genk makes sense on a number of levels, as he will be able to play more regularly in a competitive league, while still learning and developing as a player. Two years also provides him with some continuity and stability in his new club. On the international scene, he has already won one cap for Turkey, and it is vital that they take their time with him, instead of throwing him to the lion’s den. Many promising players have been rushed in too soon. As much as it is tempting to give him more games for Turkey, Ünal realistically needs more game time in order to develop. He has huge potential, and with effort and patience, he will realise that potential, fulfilling the hopes Turkish fans have of him. Introduction: The last time Stuttgart hailed a son of its own was when Mario Gomez helped them win the Bundesliga title in 2007 (their last one to date). 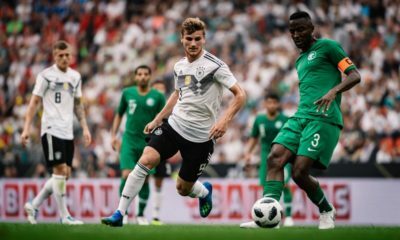 While Gomez has gone on to have a fantastic career for club and country, it’s German prodigy Timo Werner who now shoulders the hopes and dreams of many of the Die Roten faithful. It’s a young career filled with accolades – Werner is the youngest player to ever feature for Stuttgart in their history, and he’s also the youngest player in Bundesliga history to bag a brace (aged 17 at the time). In addition, he’s won two Fritz Walter Medals, once in gold in 2013 and once in silver in 2015 (for U17 and U19 categories respectively). But despite what seems to be a fairy tale ready to be written, the actual facts remain that he still has much to prove at senior level for his hometown club despite being integral at youth level for his country. Analysis: Pacey, direct and always up for taking players on, the scrappy yet clearly gifted Werner truly has yet to find his niche at the club. Just 10 goals in 77 total Bundesliga appearances dating back to the 2013-2014 campaign are not the numbers you’d expect from someone of his apparent pedigree, but much of his underwhelming performances can be attributed to the managerial merry-go round at the club, and the inevitable tactical instability that often sets in. 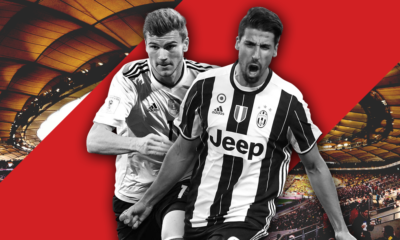 And yet, Werner does have attributes to build on – his movement on and off the ball is quite good, his ability to find gaps in the opposition back line often cause problems (a prime example was during Stuttgart’s 4-1 loss to Borussia Dortmund recently), and his direct nature is something Stuttgart must rely on more often. 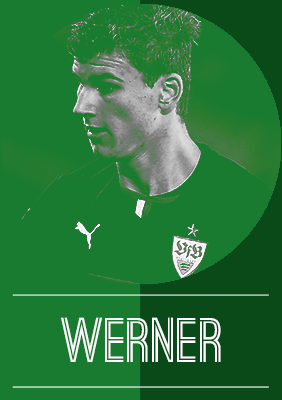 The downside to Werner however, is that he often times is rather headstrong and tries to do too much on his own, and while he does get looks on goal, only 3 goals from 32 shots on frame does not lend credence to his ability as a finisher – end product is a must. Moreover, stronger reliance on other good players around him like Daniel Didavi, Daniel Ginczek and Filip Kostic must be established, indicated by only completing 275 passes in 15 Bundesliga appearances this term, showing his lack of trust in others and willingness to go at it alone. However, a potential long-term environment under new caretaker manager Jurgen Kramny could provide a more tactically stable setting for Werner to begin to show consistent signs of his ability. Despite his flaws, his raw talent will begin to show some polish, and the fact that he is second on the team in both goals and assists this season is something to build on. Looking forward: Despite a club career that has truly yet to rocket off the launch pad, Timo Werner is still very highly regarded in Germany. His 29 goals in 37 total youth appearances for German (from U15-U21) keep many hopeful that his prowess in Die Mannschaft colors will one day spill over for the Swabian side. Introduction: It goes without saying that even the most ardent of Ajax supporters would accept the club’s place in the European footballing structure, particularly not denying it’s fall from grace since the success of previous sides. But there’s one factor that Ajax are still market leaders in – development of youngsters and more particularly, opportunities given to these youngsters in the first team. Richairo Zivkovic is another one in a long line of impressive youngsters, and he certainly won’t be the last. Analysis: Despite struggling with opportunities in the first team, Zivkovic has been given a starring roles in the clubs reserve side which plays in the country’s second division (Eerste division). 18 goals in 25 games is a remarkable job, irrespective of the league, and even more so when you consider the division it was achieved in is actually a professional senior team division in the country. Mobility and pace is what many would consider of your stereotypical modern day forward, and Zivkovic certainly ticks those brackets. With an insistence of playing a high level, fast paced and high intensity game in the attacking third, Zivkovic successfully thrives in the role. With remarkable close control and quick turn of pace, Zivkovic is an unpredictable striking talent and a nuisance for defences. And while many young strikers can quickly adapt to a wider role, Zivkovic’s true quality can only be derived from a pure striking role. And despite the modernised factors to his game, simple movement to find pace and a flawless poaching ability further heighten his importance to a side. Looking forward: Having earned a loan move for regular first-team football in the Eredivisie, Zivkovic does certainly seem to have a future at Ajax. The club, competing for the country’s highest honours, do realise the negative impact of not paying regular football with senior teams could have. The Dutch club would certainly struggle to hold on to it’s best individuals, specifically young stars, and Zivkovic may face that temptation soon. But given the stage of his career, staying with the continent’s market leaders in youth development woudn’t be the worst decision.